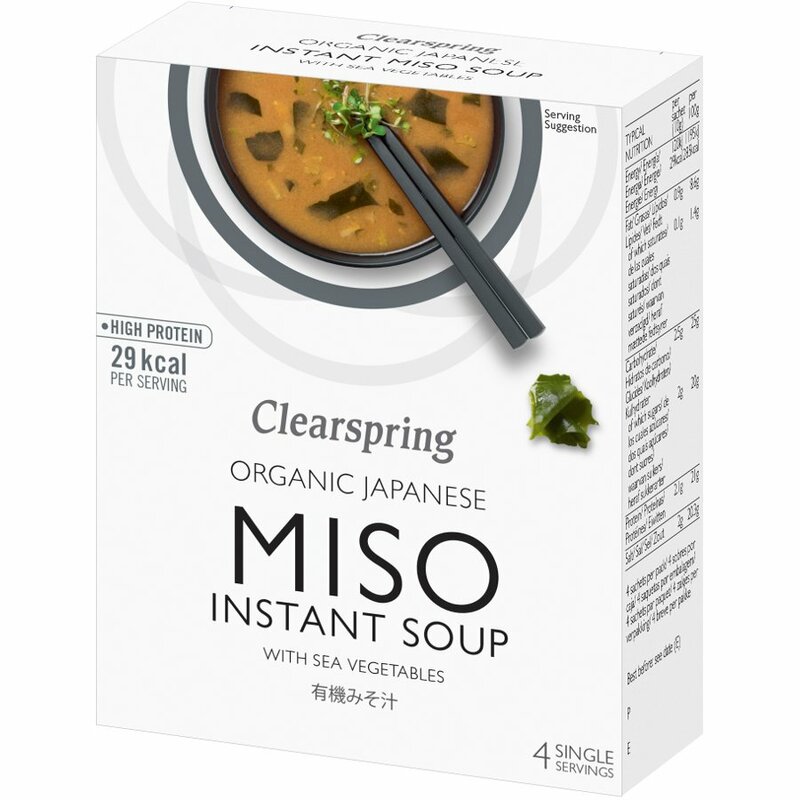 Deliciously tasty organic miso instant soup from Clearspring, with brown rice and sea vegetables. Just add water and heat - 4 x 10g servings. Freeze-dried Brown Rice Miso* (81%) (whole soya beans*, brown rice*, sea salt), freeze-dried sweet white miso* (11%) (rice*, whole soya beans*, sea salt), dried green onions*, sea vegetables (3%) (kombu powder, wakame). The Clearspring Organic Miso Instant Soup with Sea Vegetables 4 X 10g product ethics are indicated below. To learn more about these product ethics and to see related products, follow the links below. Quick savoury soup when in a hurry or when I don't want to cook. I find this invaluable for those occasions when there is no time to make soup. It is delicious, hearty and very warming. 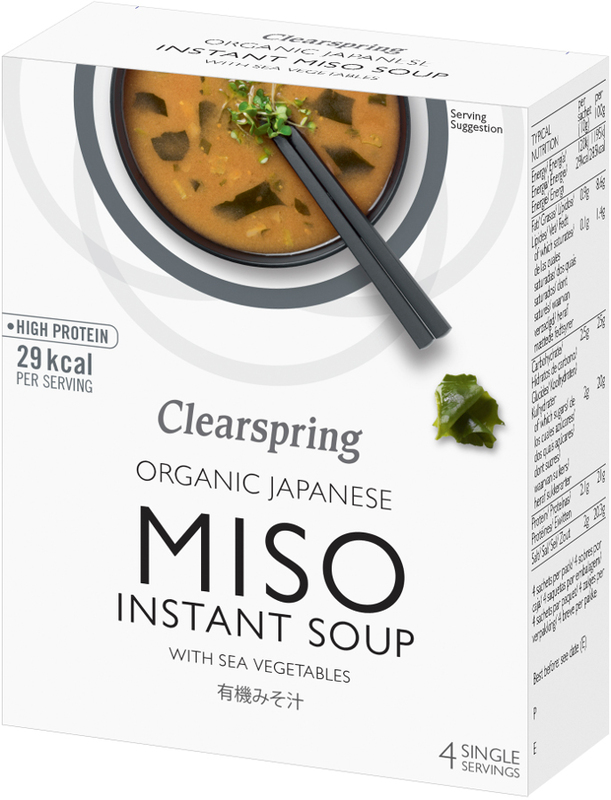 There are currently no questions to display about Clearspring Organic Miso Instant Soup with Sea Vegetables 4 X 10g.